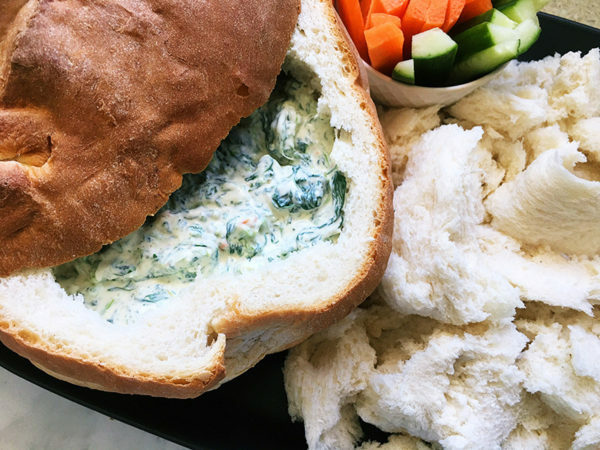 Always a hit with a crowd, a cob loaf dip is perfect every time. This recipe is super easy – and served cold – so there’s no having to keep it warm when entertaining outside. Brilliant! 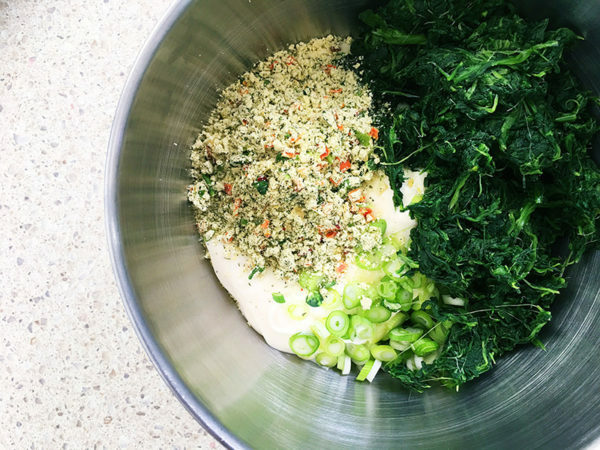 A quick whiz around the supermarket for these few ingredients and you’re good to go. To be honest, the dip is always better made a few hours ahead – the night before if you can – it gives the soup mix time to soften. If you don’t have time, don’t stress, all the more texture for you! 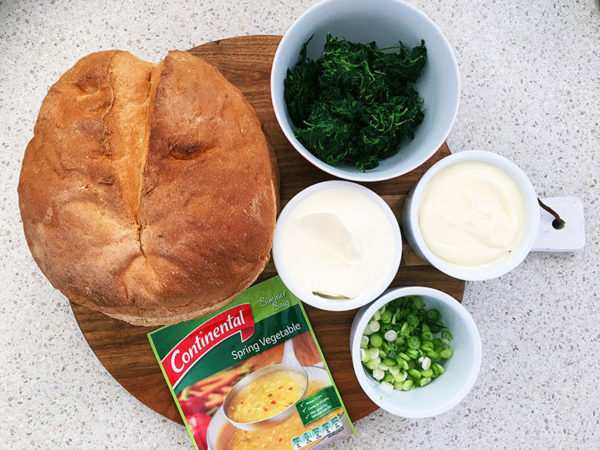 Mix all the ingredients (excluding the cob loaf) together in a bowl. Cover and refrigerate for a few hours so the soup mix can soften. Slice the top of the cob loaf off and keep whole, this will create a temporary lid. 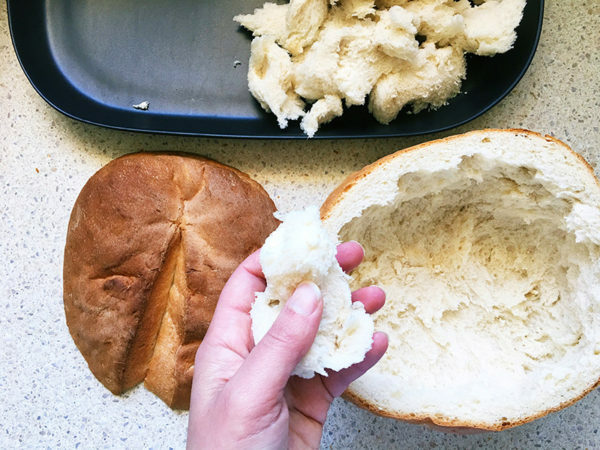 Hollow out the loaf to create a bowl, tearing the bread into reasonable size chunks for dipping. Pour the dip mixture into the hollow cob, replace the ‘lid’ and serve with the bread. This dip is also perfect with vegetable dippers – celery, cucumber and carrot sticks are great, hardy options.